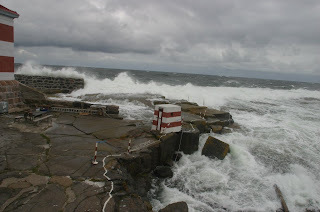 Travelling with Antsa: Autumn storm at Märket! It has been blowing two days from north up to 23 m/s in gusts and 17-18 m/s on average. 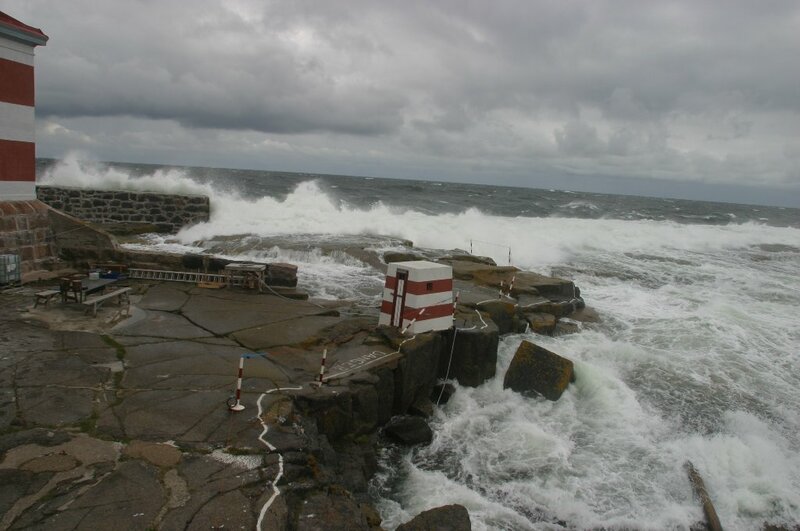 The waves are now over 3 meters and they hit over the islet and even the wavebreaker, which have been built to protect lighthouse from the northern winds and waves. The island, which is normally at 100 m x 300 m at size, is nearly under the water. Only approx. 75 m x 25 m is visible, but constantly washed out by waves. Lighthouse and warehouses are standing on that area. 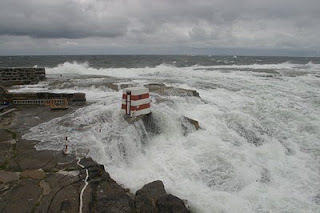 Incredible views and feeling to spend one week on the Märket lighthouse and have the chance to feel real autumn storm! Waves around the showercabin "Lilla Märket"
Originally we would have the transportation from the Märket tomorrow morning, but strong winds and big waves are not allowing anybody to get on shore tomorrow. Therefore the planned transportation has been postponed by one day and we are hoping to get from the island on Sunday at noon. In a Finnish magazine called MeNaiset was an article about Märket. If you have not seen it, I can send it to you. Place sounds magnificent! Hope you are safely at home! Fantastic pictures! I've never seen Lilla Märket being washed down like that. It looks amazing and scary at the same time as I'm the one who actually painted and named it as Lilla Märket:)Luckily the weather was better then.